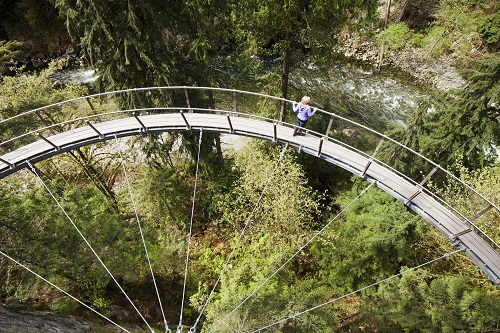 Beyond the original bridge spanning 137 thrilling metres (450 feet) across the breathtaking Capilano River, do the adrenaline-pumping Cliffwalk along a granite precipice and labyrinth of suspended bridges, stairs and platforms. 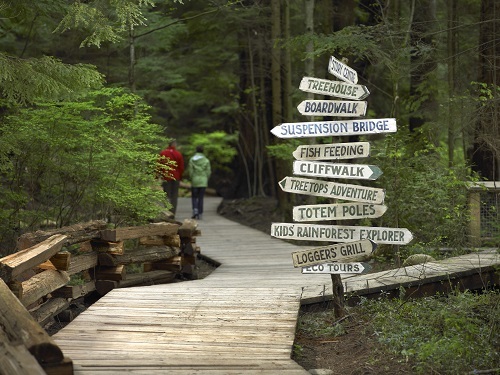 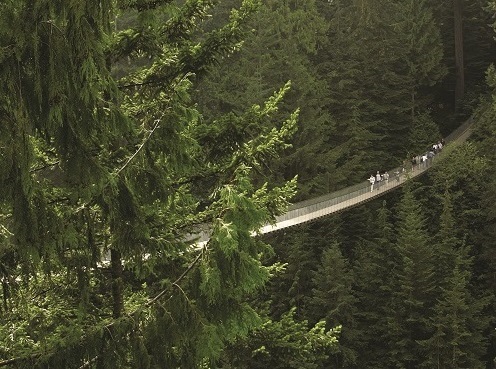 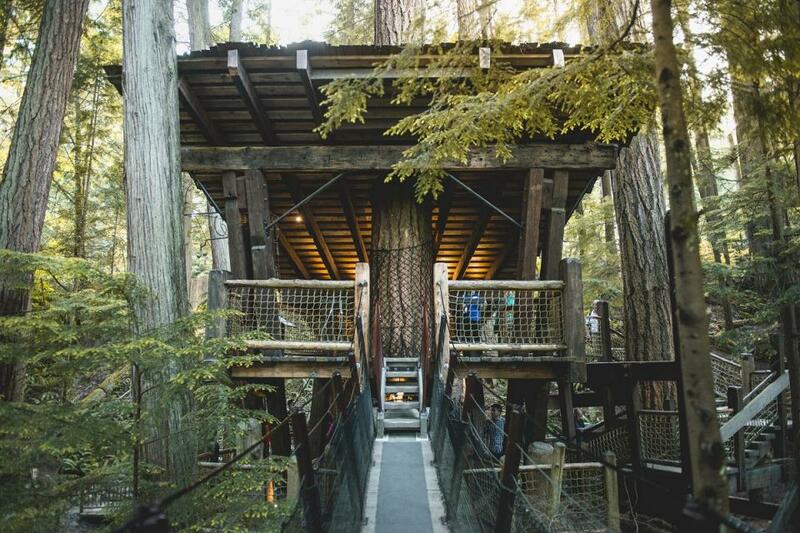 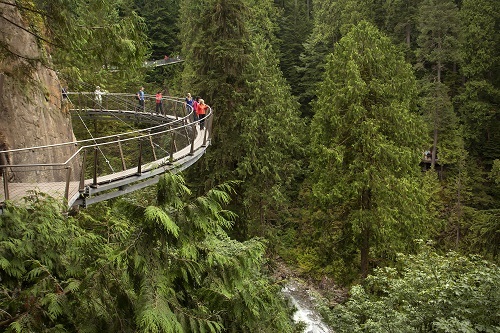 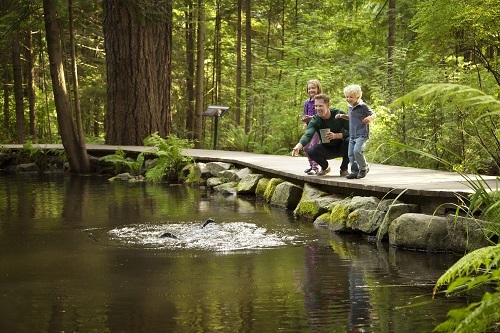 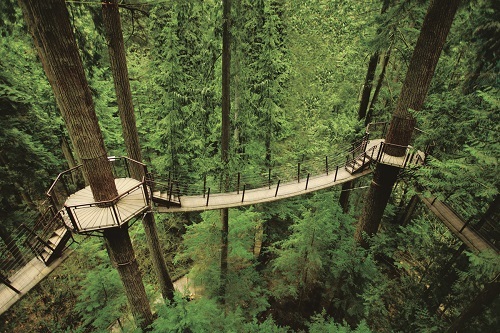 The Capilano Suspension Bridge Park’s Treetops Adventure takes you on a journey high above the forest floor with footbridges connecting seven brilliantly engineered viewing platforms to 1,300 year-old Douglas Fir trees. 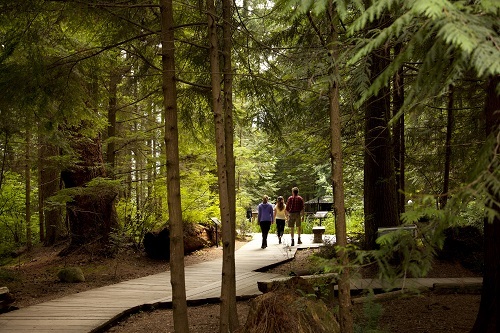 Stroll through The Living Forest trail, learn about historical adventurers in the Story Centre, or enjoy a complimentary mini guided tour.